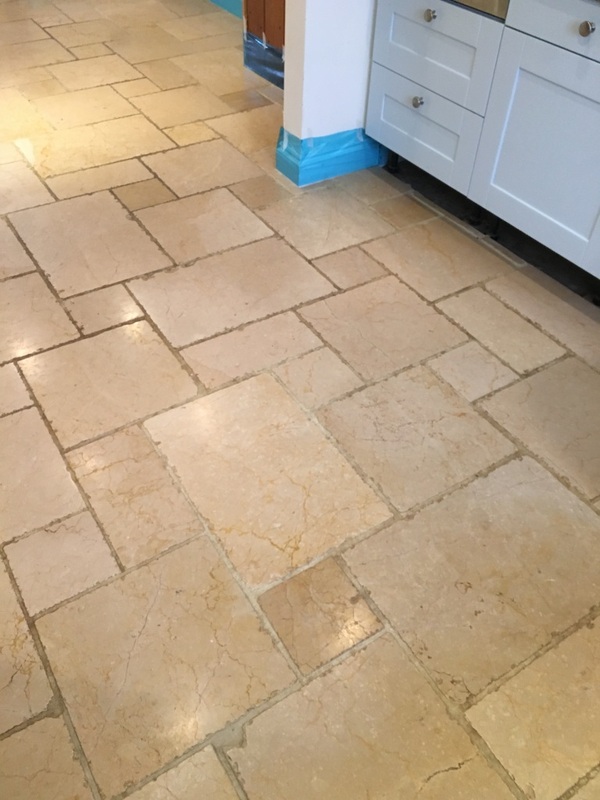 The photographs below are of a Marbled Tiled floor that was installed over much of the ground floor of a cottage that formed part of a large county estate near Reigate. 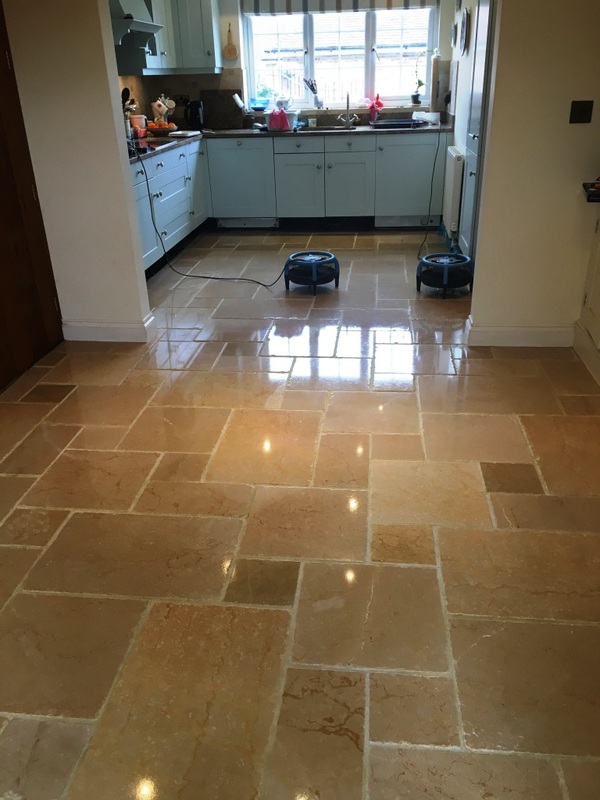 The Marble floor tiles were lovely however the polish and sealer had worn off some time ago and the were now looking much worse for wear, additionally the once white grout had turned dark with dirt and I`m not sure even the owner realised its full potential. 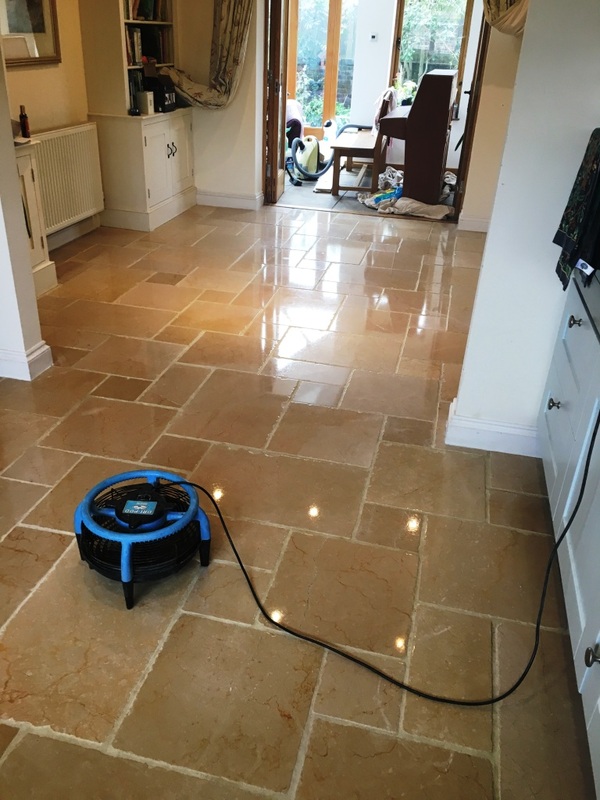 I provided a quote for cleaning and applying a deep polishing to the floor which was agreed and set a date to do the work. After protecting the wooden skirting with tape, I started the cleaning process by applying a medium dilution of Tile Doctor Pro-Clean which was scrubbed into the tiles using a stiff brush to remove any loose dirt and debris from the floor but primarily along the grout lines. The soiled cleaning solution was then rinsed off with water and then extracted with a wet vacuum. Next step was to deep clean the tiles and bring back the polish using a set of four Tile Doctor diamond encrusted honing pads which fit a weighted rotary floor buffer and are applied in sequence starting with the 400-grit pad lubricated with water. This is followed with the 800-grit and then the 1500-grit pads rinsing with water after each pad and removing the soil generated by the burnishing process with the wet vacuum as before. This work took much of the day so after applying the 1500-grit pad and rinsing I left the floor to dry out overnight. The next day I started by applying the 3000-grit pad which is the final pad in the polishing process and really helps bring up the polished appearance of the Marble. The pad is applied to the floor dry using a little water sprayed onto the floor using a process we call a spray burnish. 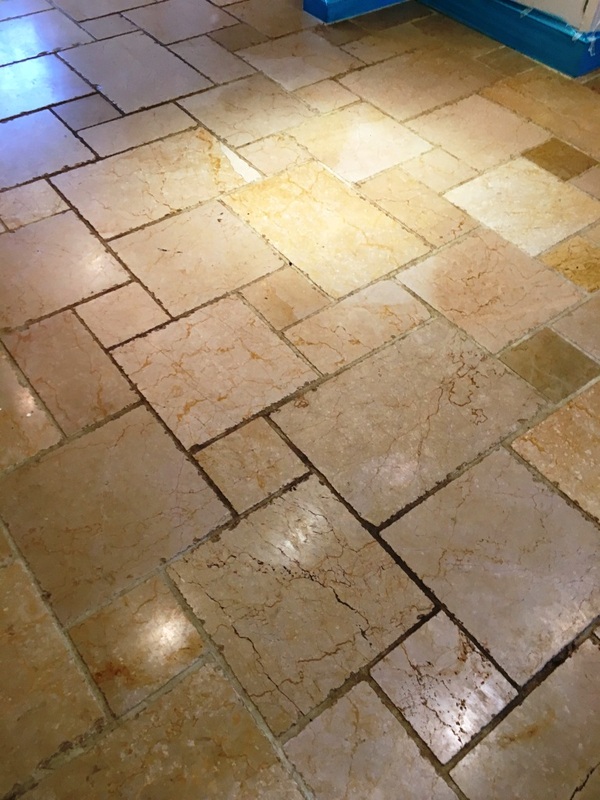 The last step was to seal the Marble tiles and build the polish even further by applying Tile Doctor Shine Powder which is diluted with water and buffed into the Marble tiles using a white buffing pad. The shine powder did an excellent job of building the shine on the floor and provides a tough durable finish that should last. After two days work the Marble tiled floor looked transformed and I was especially pleased with the deep level of shine and restored white grout that I had managed to achieve.